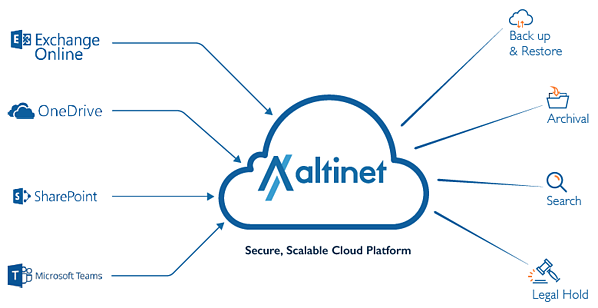 Altinet’s Backup solution for Office 365 allows organisations to have complete control over data in public cloud environments – with backup of Exchange Online, OneDrive, SharePoint Online and Outlook Calendar and Contacts, you’re completely covered. Backup and restore entire Outlook accounts including mailboxes, shared mailboxes, calendars and contacts. With a minimum of 4 backups a day, Altinet ensures that organisations can access Office 365 without any fear of disruption due to data loss. Your data is saved by default for 365 days – and can be set to as long as you require. Backup and restore everything stored in OneDrive or select specific files and folders. Restorations is easy and done within seconds with Altinet’s Managed Backup for Office 365. Simply choose exactly what data you would like to restore and it’s done. Fully Backup and restore SharePoint sites. Our solution allows you to access and restore your backup from any device – computer, mobile, or tablet. Specify the number of copies of each item you want to keep in the cloud. With fully customisable retention for all files and email, we help you meet regulatory requirements for backup and restoration of data. This feature is focused specifically on your data being retained for legal or compliance requirements. Altinet uses industry leading 256-bit encryption at rest and in transit. By having multiple copies of your data it ensures complete reliability and security. Data is protected at rest with 256-bit AES encryption and while in transit using SSL encryption. 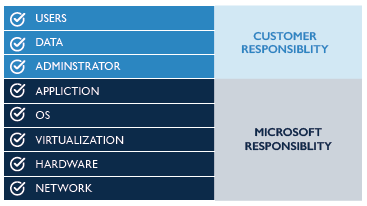 Human error (accidental deletion and overwrites), hacking or ransomware and closing of accounts are the top three categories of data loss within cloud applications such as Office 365. Altinet’s Office 365 Backup solution is a vital layer of security to your organisation’s Office 365 accounts, supplying you with the peace of mind that comes with knowing your data is safe. Cloud services do not include automatic backup. When using Microsoft Office 365 the responsibility for securing and backing up your data within Office 365 is solely down to each organisation. 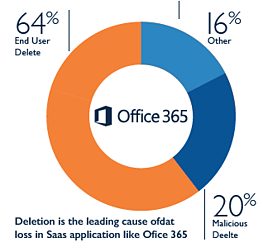 Accidental deletion by users is the most frequent cause of data loss in a SaaS environment such as Microsoft Office 365; however, there are other ways where data can be lost. Application errors or mistakes in processing can cause data to be lost or overwritten, and there is always the risk of malicious deletion by employees with access to the data. A threat that is of great prominence in todays cyber-landscape is ransomware, which encrypts data and renders it inaccessible.